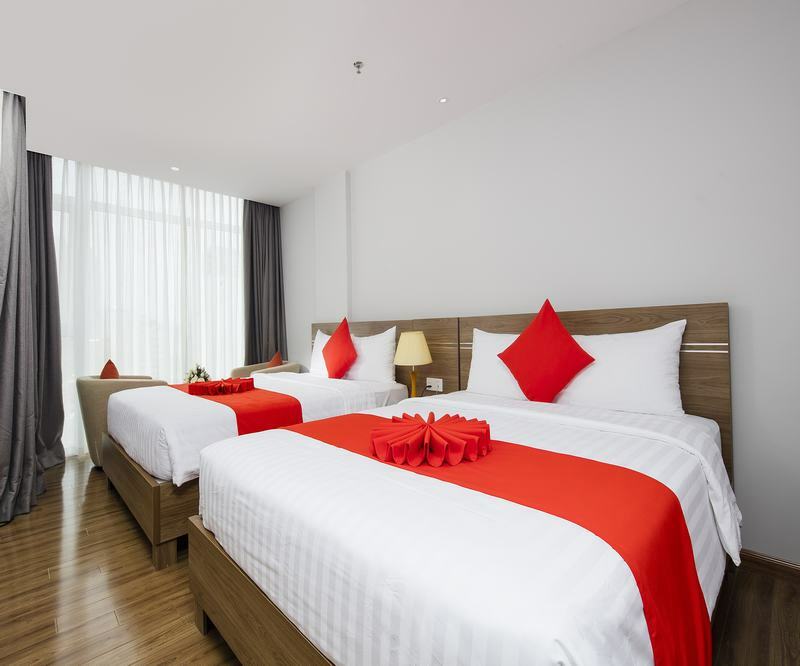 Nha Trang Maple Leaf Hotel and Apartment is a three star Hotel, with the International standard, located at 120/39 Nguyen Thien Thuat Street, Nha Trang City,Khanh Hoa Province. The Hotel is located at the central of the “Western Town” - the place where having a lot of foreigners- very near beach, restaurants, bars and swimming, diving clubs. Moreover, the traffic is very convenient for you and your family when you want to join in the Tourists for entertainment in Nha Trang City – one of the 29 most beautiful bays in the World. Nha Trang Maple Leaf Hotel and Apartment has 14 floors, 43 rooms and 24 apartments, all of rooms are decorated with the luxury interior, modern equipments such as cable TV, international telephone, Internet, 32 inches television with Bluetooth sound system connection, air- condition, fridge, safe (can be opened by password or credit card), modern bathroom with bathtub, solar system hot water,luxury sanitary equipment … Apartments are decorated like all the rooms and with the bigger fridge, electric stove, dinner table, utensils, …… for addition.